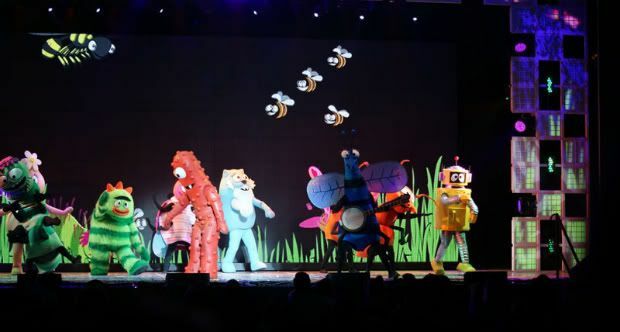 Our Family: Yo Gabba Gabba Live! We went to Yo Gabba Gabba Live! again this year. I think the boys both liked it a ton more. Instead of being at The E Center, it was at Kingsbury Hall. We were only about 15 rows back, so we were a lot closer to the stage. I think that helped the boys get into it a lot more. Plus, they've been watching it on Netflix so they knew the songs and the characters a lot better. They sang, danced, and smiled to their heart's content.